Since the acquisition of Intellect Security in 2016, Metaphor IT have been working hard with leading partners to expand the Managed Security solutions they provide to their clients. Join us for breakfast and hear all about the service whilst seeing demonstrations on a live environment. In 2017, Metaphor IT announced the launch of a Security Operations Centre and through a growing demand for our model, we have expanded into 2 other locations and through scalability, can now offer this managed security service to every business no matter their size. Our Security Operation Centres (SOCs) provide incident detection and response services for security breaches and malicious behaviour on a 24×7 basis using some of the best technology in the industry. We are able to detect and respond on all IT assets including virtual assets, cloud and traditional infrastructure. 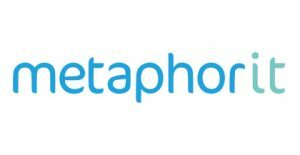 Metaphor IT’s Managed Security Service provides organisations with the capability to gather, analyse and present information from almost every element of your infrastructure. This unified source of information empowers your business to understand threats as they manifest, so the necessary actions can be taken. We have invested heavily in our Cyber Team, so they can ensure the systems in use collect all the relevant security data before the software gets to work, analysing thousands of logs and events in real-time and prioritising potential threats. Metaphor IT understands that the world of IT security is quickly evolving with new risks and threats appearing on a daily basis. The use of IT systems in business, the consumerisation of IT, Online Services, the Cloud, and The Internet of Things, means that organisations are having to deal with an increased cyber threat which is only set to grow in the coming years. Today, we also need to deal with malicious or unintentional insider threats and breaches in your supplier chain which may compromise your business. This is combined with a growing skills gap in the IT security space and increased regulation. What are the benefits of a Managed Security Service? During the showcase event we will be providing detailed explanations of the features and benefits of using a Managed Security Service as well as a demonstration of the platform. Monthly subscription basis. No upfront costs.